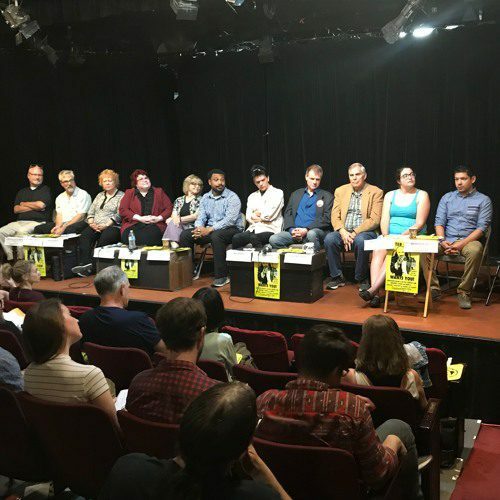 On Saturday, June 2, Better Lemons and Theatre West hosted “Meet the Critics!” featuring several of LA’s premier critics for a panel discussion of theatre criticism. Shari Barrett, a Los Angeles native, has been active in the theater world since the age of six – acting, singing, and dancing her way across the boards all over town. 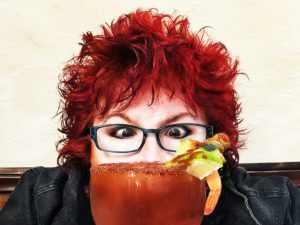 Shari now dedicates her time and focuses her skills as a theater reviewer, entertainment columnist, and publicist to “”get the word out”” about theaters of all sizes throughout the Los Angeles area. Dale Reynolds, a SoCal native, has been a critic for theatre, film and DVD since 1970, for a wide variety of outlets in NYC and L.A., including StageAndCinema.com, StageHappenings.com, EDGELosAngeles.com, and for Frontiers Magazine for many years, in addition to being West Coast Editor of A&U Magazine for four years. Monique A. LeBleu is a reviewer, writer, photographer, videographer, shameless foodie and wineaux. She has won multi JACC Journalism awards for her feature writing, critical journalism, and social media statewide competitions. Patrick Chavis is the creator, designer, podcast writer, and head editor of LA Theatre Bites. Because of the massive size of the Los Angeles area and its theatre presence, Patrick decided his reviews should take the form of podcasts en lieu of more traditionally written articles. He is also one of the creators of the Orange County based theatre review site, the Orange Curtain Review. Since Bill wrote his first review for LA Weekly over 30 years ago, he has covered theater on both coasts, won multiple awards for his political journalism, and today continues to focus on Los Angeles’ experimental and intimate stage scenes for LA Weekly as well as for the online stage journal, Stage Raw. Leigh Kennicott has an extensive background in theatre, film and television and a Ph.D. degree in Theatre, awarded in 2002. A writer, director and actor, Leigh Kennicott began theatrical reviewing at Backstage, followed by Pasadena Weekly and Stage Happenings blog before joining showmag.com in 2018. Katie has been a theater critic for over a decade, and has been reviewing Los Angeles theater for 7 years. She ran Neon Tommy’s theater section for three years before freelancing for LA Weekly for another three years. She joined the LA Drama Critics Circle in 2015, and she’s currently a regular contributor to Stage Raw. She earned her BA in theater and MFA in film producing from USC. Currently serves as West Coast theatre critic for The Hollywood Reporter, while also covering art and culture for The Guardian, Cultured Magazine, and KCET Artbound. Cover theater for OC Register/Coast Magazine in Orange County and theatre and film for LA Weekly. Assigned beat for THR focuses on touring productions of Broadway shows. He is presently the cultural critic for The TVolution.com. Michael Van Duzer has reviewed opera performances, both locally and nationally, for over 30 years in a variety of print and online media outlets. After leaving his job in 2014, he was finally able to add theatre to his reviewing schedule. Ryan Luévano is a professor of music at Woodbury University and Santa Ana College. During the summers he is a regular teaching artist at A Noise Within Theatre Company in Pasadena. When he’s not making music he pens as a theater critic for his blog Tin Pan L.A. where you can read all about the L.A. theater scene. May 13, 2017 LA Stage Day's Rallying Cry to Theater Artists: "Be Louder!" April 20, 2018 FREE Workshop: Working your Press Release & Social Media tricks & tips! May 25, 2018 BETTER LEMONS – "MEET THE CRITICS"
September 26, 2017 Hollywood Fringe's TURBULENCE Hits Downtown NYC Theatre Scene!